S&S Electric offers a full range of electrical services for industrial, commercial, residential, agricultural and other fields. Since 1991, we have been the top choice for clients in the Plainview area. Employees at S&S Electric are licensed and capable of handling large-scale industrial electrical issues including grain elevators, feed yards, dairies and more. 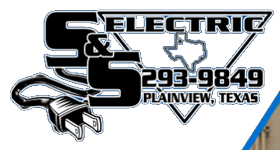 We started as a small enterprise working out of a garage, and, today, we comprise of a large team handling electric issues in Plainview and surrounding areas. Our electrical contractors are focused on giving exceptional client satisfaction through our quality services. If you need superior quality electrical installation or services, we are just a call away. Call us to know more at (806) 429-0932.